Flight from your airport to Varna. Accommodation in a hotel. After breakfast, departure for the region of Shumen, through the natural site Pobiti kamani, (the petrified forest). The Pobiti Kamani area is the first natural phenomenon to be announced as a protected area in Bulgaria in 1937. The rocks themselves date back some 50 million years, when these lands were part of a seabed. As the water receded, erosion began to carve the rocks and give them unusual shapes. Continue and discovery of the site of the Madara rider monument, inscribed on the UNESCO World Heritage List. Carved in the early eighth century on a rock at a height of 25m, this sculpture represents a real size rider piercing a lion with his javelin. Madara was once a sacred site, which sheltered the great sanctuary of the protobulgares. Typical home stay lunch with homemade dishes. 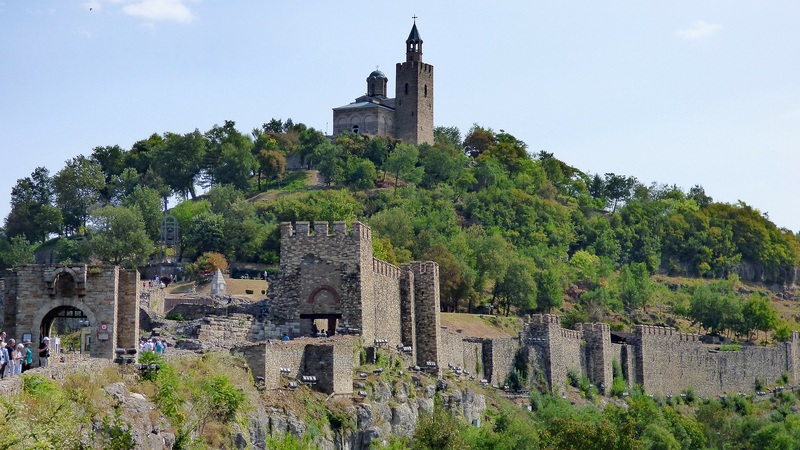 Continue to the beautiful city, with a prestigious past - Veliko Tarnovo. After the first Bulgarian Kingdom, it was the center of the rebellion against the Byzantines. It was even a Bulgarian capital for a while. The citadel of Tsarevets was razed by the Turks in the fourteenth century, when the second Bulgarian Kingdom ended. Most of the monuments visible today have been rebuilt recently. Stop in front of the fortress "Tzarevets", city of Bulgarian kings. Arrival at the hotel and accommodation. Dinner and overnight. After breakfast, visit Arbanassi village museum located in the heights of Veliko Tarnovo, one of the jewels of Bulgarian heritage, which attracts thousands of visitors with its ancient houses from the seventeenth century. Departure for the unique open-air museum site Etara, which represents a small reconstituted artisan village, typical for the 18th and 19th century Bulgaria. Walk in the cobbled alleyways, beside the stone fountains, and the old houses that recreate the spirit of the Bulgarian Renaissance. Visit the craftsmen's workshops with demonstrations of trades. Lunch. Continuation to Kazanlak famous for its production of rose essential oil. 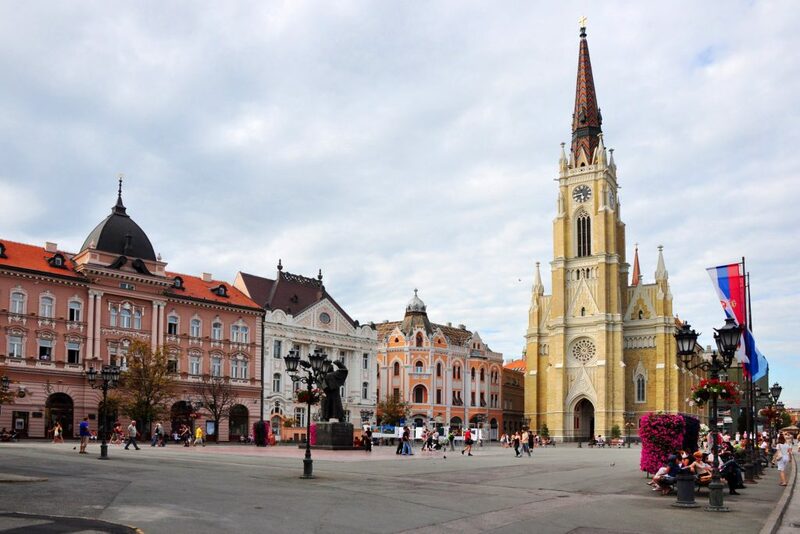 Since its foundation, in the 15th century, this city became the capital of the roses. Visit the replica of the Thracian tomb , dating from the 4th century BC. This tomb, representing the art of this period, is that of a sovereign and contains beautiful frescoes. Visit the house of the roses with a tasting of the rose based products. Accommodation in the hotel. Dinner and overnight. After breakfast, departure for Koprivshtitsa, through the Valley of Roses. Historic city, a true museum of Bulgarian architecture at the time of national awakening. Located at an altitude of nearly 1000 m in the middle of beautiful meadows and coniferous forests, this town attracts many tourists. City tour and visit of a museum house. Lunch. Continue to Sofia, the capital of Bulgaria. 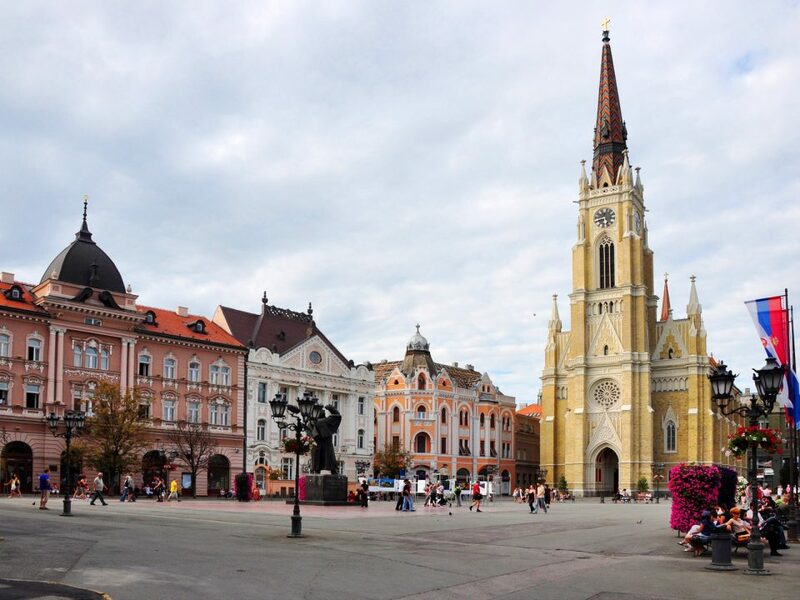 Visit the cultural city center, to discover the most beautiful historic buildings in the capital, including Alexander Nevsky Cathedral, the largest Cathedral on the Balkan Peninsula (visit), the Basilica of Saint Sophia (visit), the tomb of the unknown soldier, the antique market, the Royal Palace, the St. George Rotunda, the Parliament, the remains of the Forum, the former headquarters of the Bulgarian Communist Party. Accommodation in the hotel. Typical dinner, accompanied by folk music.Overnight. After breakfast, departure for the largest and most famous monastery in the Balkans, Rila Monastery. It is the most visited tourist place in Bulgaria and is a UNESCO World Heritage Site. The monastery was founded by St. John of Rila in 930, but its structure as we know it, dates from 1335 under the regency of Khrelio, whose inner defensive tower still bears his name. St. John of Rila was canonised by the Orthodox Church. The monastery suffered looting and destruction under the Ottoman yoke, but benefited from the protection of Russian kings. It was also the guardian of orthodoxy when Catholic and Protestant churches wanted to settle in Bulgarian territory in the 19th century. Its arcades, columns, woodwork and paintings are of exceptional beauty. Visit the Curch of the Dormition of the Virgin, which is considered containing the best decorated frescoes in Bulgaria. Its carved wooden iconostasis is unique in its kind. Discovery of this imposing and magical place, characteristic for the Bulgarian Renaissance. Lunch along the river Rila. Continue to the thousand year old city of Plovdiv. Located in the Thracian plain, on the banks of the Maritsa and six hills. It is the second largest urban center with its population, its size and its place as a cultural, historical and tourist center. Plovdiv is also one of the oldest cities in Europe, anterior to Rome and Athens, it has known various civilisations during its history. It is famous for its architecture and artistic atmosphere and has been designated as the European Capital of Culture for 2019. Accommodation in the hotel. Dinner and overnight. After breakfast departure to visit the Bachkovo Monastery, which is the second largest Orthodox monastery in Bulgaria. This medieval monastery with Georgian origins was an important spiritual and cultural center of Bysance's time. In the 14th century it is transformed into one of the most important Bulgarian monasteries. Departure for an appointment in a winery where the oenologist will make you discover everything about the autochthonous Mavrud grape variety. The route of this visit begins in the heart of the vineyard, where the history of great wines takes root. Then discover the cellars that exhale their powerful aromas. The oenologist offers a commented tasting of the Mavroud grape variety. Lunch. Afternoon return to Old Plovdiv, called the 18th and 19th century architectural reserve, which arouses the admiration of all visitors. Orientation tour of the old town of Plovdiv and stroll through its maze of narrow streets with old houses. Visit the ethnographic museum, which is in a beautiful house in Renewal style Bulgarian (XVIII-XIX. ), and which presents the way of life and customs of the region. Stop in front of the house of Lamartine and the remarkable ancient theater, the best preserved in the country. Free time in the central pedestrian street, where you can admire the Neo-Baroque facades, as well as the remains of the Forum, the Roman Stadium II s. and the Djoumayia-XIVs mosque. Dinner and overnight in the hotel. After breakfast, departure to the south coast of the Black Sea. Arrival in Nessebar, a museum town, built on a rocky peninsula on the Black Sea and nicknamed the city of forty churches. 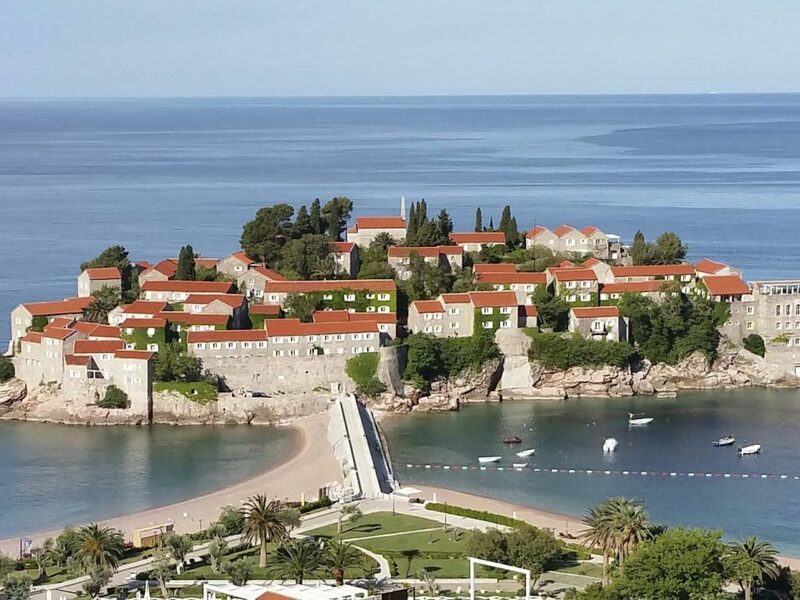 Panoramic walking tour of the UNESCO-listed Old Town. Lunch. Continue to Varna, the largest Bulgarian city on the Black Sea coast. Varna was a city since the ancient Greece times, when it was called Odessos. Today, its heart reflects an architecture of the late 19th and early 20th century. Orientation tour and accommodation in the hotel. Dinner in town in a typical restaurant, accompanied by the local Rakia aperitif. Overnight. 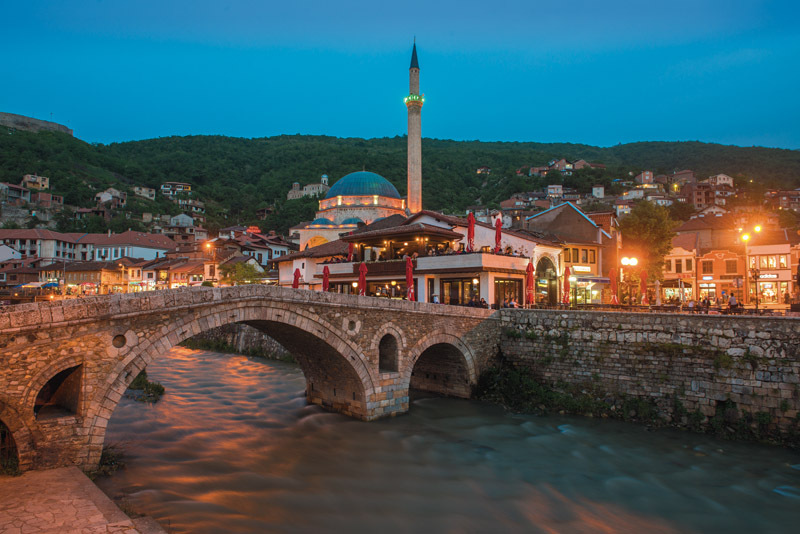 Head to the largest Roman baths in the Balkans, the Greek Quarter, the Opera House next to the central square and its daily market. After breakfast visit to the Varna Cathedral. Then visit the archaeological museum where you can admire the oldest gold treasure in the world. Back to the seaside and its beautiful maritime garden. Lunch in a restaurant overlooking the bay of Varna. In the afternoon, free for the last purchases and personal discoveries in the pedestrian street. Transfer to the airport in Varna and leave the car rental.